You probably often rely on baby wipes for quick cleaning your leather upholstery. But it is a common misunderstanding that baby wipes, safe enough for a baby, are also safe to use on anything else. Unfortunately that’s not right at all. Baby wipes are soaked in cleaning chemicals to keep them moist, and have been designed solely for skin and nothing else. Usually, the chemicals they contain will ultimately lead to the pigment in the leather to crack or peel: Cetearyl Alcohol, Benzyl Alcohol, Various acids, Sodium Hydroxide, Potassium Sorbate, Sodium Benzoate, Sodium Citrate, Sodium Hydroxide. As you know, the alcohol content, even in small quantities, may cause damage to your leather pieces of furniture. After all, it is a spirit and it actually breaks the lacquer finish and will eventually destroy it. Once this protective coating has been broken down, leather is far more easily damaged by water, scratches, etc. Also when it gets dirty it will be impossible to get it clean so the area will always look completely different. Use only specific leather cleaning agents or simply use a rag and water to maintain your leather furnishings. Avoid using some home products on leather: soap, oil, waxes, window cleaner or finger nail polish remover. 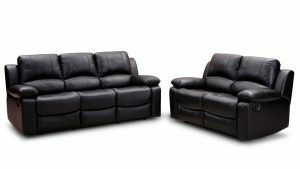 Position your leather furniture away from radiators or direct sunlight to prevent fading and damage. Every week dust the leather or wipe with a damp cloth to re-hydrate it and prevent it from drying out and cracking.